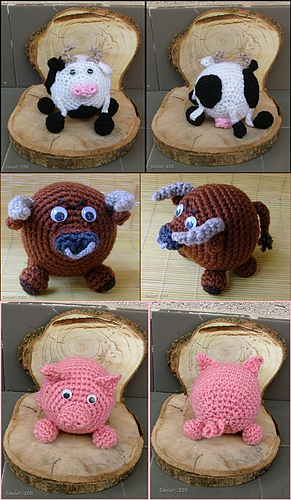 Amigurumi Crochet pattern – instructions to make three Aniballs: a Cowball, a Bullball and a Pigball using 3mm crochet hook with amigurumi technique. The finished doll are approximately as big as a tennis ball. 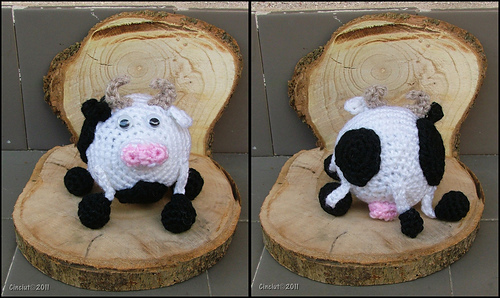 The size of the doll depend on how you stuff and on your choice in material (Yarn, Crochet hook). 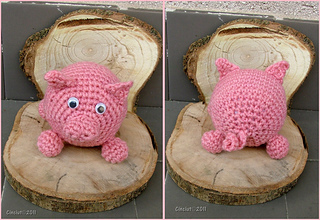 This pattern is part of a series of more aniball patterns coming soon. 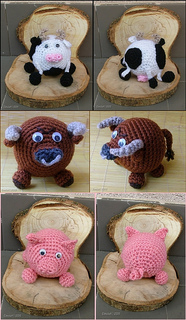 Using a nice ribbon or yarn you can hang your aniballs on a Christmas tree or wherever you like!